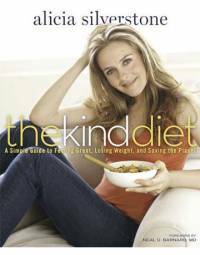 For years Alicia Silverstone has extolled the virtues of a plant-based diet, both of remarkable effects it has on her health and well-being and for the enormous impact it has on the health of our planet. Now in her #1 New York Times best-selling book, she shares the research, the recipes, and the daily routine that have helped her achieve her very best self - slim, clear-eyed, and full of healthy energy - and relieved a host of symptoms, from mild to serious, in countless others. Much more than just a weight-loss regimen, The Kind Diet is truly a way of life. With 100 irresisitble recipes, tips on meal planning and stocking the pantry, plus answers to frequently asked questions about nutrition, food substitutions, and so much more, The Kind Diet is a unique resource for anyone who is ready to make a change - one that will improve your life and help you look and feel better than ever before.